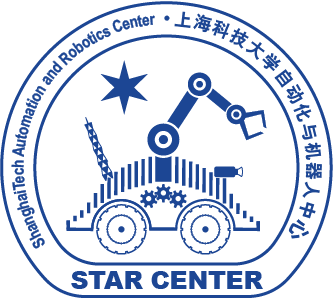 On January 12 2017 the STAR Center held its inaugurational party. 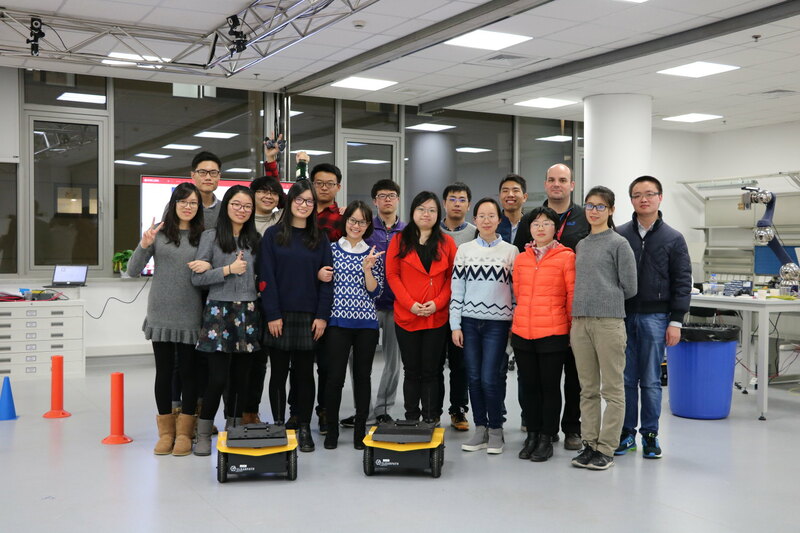 Present were Prof. Jie Lu, Prof. Sören Schwertfeger, Lab Assistant Yongxia Shen and the students. We saluted the center with German champagne and German sweets. 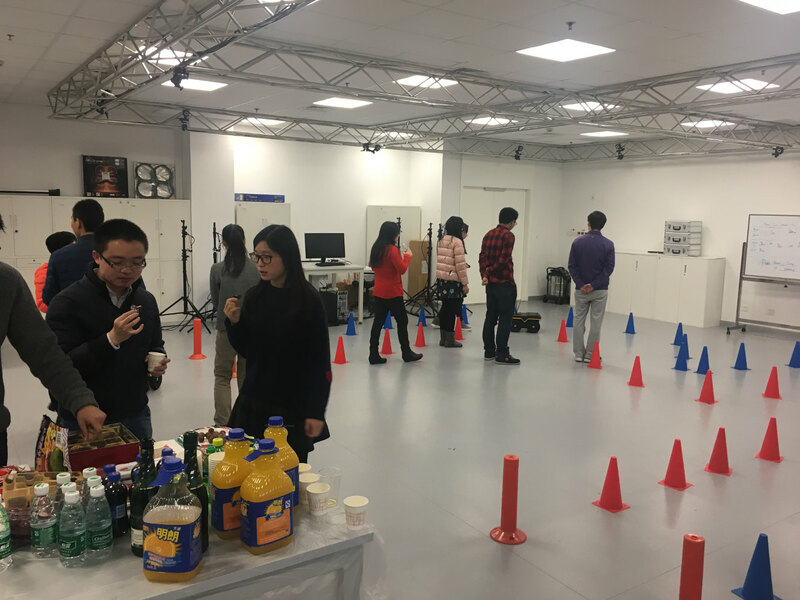 Other activities included a survey about the new STAR Center logo and a race, testing the remote control capabilities of the students by steering the Clearpath Jackal robots along a small racetrack. Group photo during the STAR Center party. Students racing the Jackal robots. 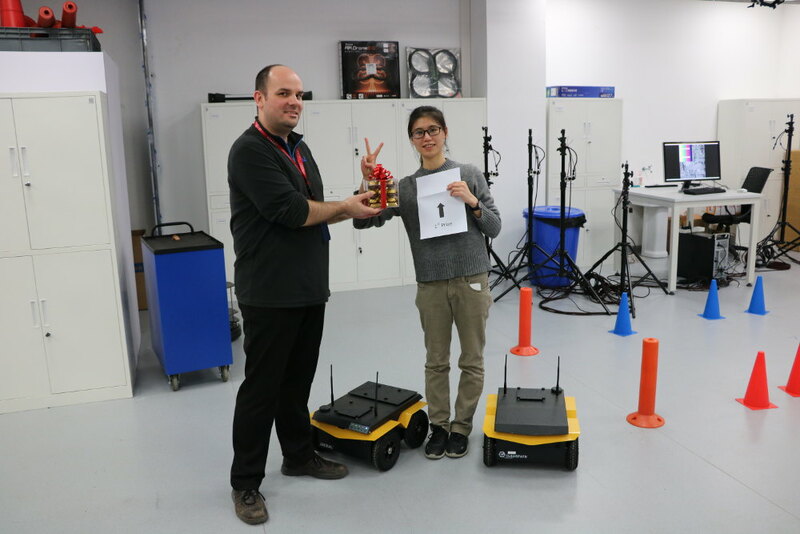 Hou Jiawei receiving her 1st prize from Prof. Schwertfeger.